Young Boys came back twice to tied the match to earn a 2-2 draw with ten-man Fenerbahce in Champions League qualifier. Fenerbahce went ahead with Emre Belozoglu after just five minutes, striking home a fine finish. The Young Boys came back, with Henri Bienvenue's brilliantly turned to make space and crossed to Emiliano Dudar, who headed in to tie the match. Fenerbahce took back the lead as Miroslav Stoch took a pass and blasted home from the edge of the penalty area. After the goal, however, Fenerbahce midfielder Colin Kazim-Richards was sent off, receiving a second yellow card for petulantly throwing the ball away after conceding a free kick. In the 78th minute, but the ball crashed off the crossbar. Alberto Regazzoni was on hand to recover the ball, but Onder Turaci saved his shot with a header. Three minutes later , the Young Boys broke through. David Degen raced in to the box from the right wing, and was tripped by Selcuk Sahin, resulting in a penalty to the hosts. Moreno Costanzo ired home to draw his team. In the closing minutes,Fenerbahce keeper Volkan Demirel came up with big saves and escaped with a draw and two important away goals. Fenerbahce will play the second leg of their qualfying round in Turkey on August 4. Fenerbahce the runner- up of the Turkish Turkcell Super League takes a start in the European league today against Young Boys of Switzerland. This will be the first match for newly promoted coach Aykut Kocaman. Fenerbahce will play the first leg in Switzerland but will have the advantage of playing the return match at Sukru Saracoglu Stadium in Istanbul. The winners of the five non-champions route ties will join Auxerre, Sevilla, Tottenham Hotspur, Sampdoria and Werder Bremen in the playoff round, which will be played on Aug. 17-18 and 24-25. Bursaspor automatically qualifies for the group stages of the Champions League as the Turkey's top team. According to the qualification system for the highest-level football championship club level in Europe, Fenerbahce is looking to become one of just five teams to enter the Champions League group stage from the non-champions’ path. According to AP's RONALD BLUM's article there are at least 5 teams after Altidore..
Ajax, Besiktas and Fenerbahce have shown interest in acquiring Jozy Altidore from Villarreal in addition to Premier League clubs, and a loan and permanent transfer both are possibilities for the 20-year-old American forward. A member of this year's U.S. World Cup team, Altidore spent last season on loan to Hull and scored two goals last season as the Tigers were relegated. He is due to start preseason training with Villarreal on Aug. 3. "A lot of the top clubs around Europe have been in touch, and we're just looking at what's the best for Jozy's career at this point," his agent, Lyle Yorks, said Tuesday in a telephone interview. "It's important to find a home for himself where he's going to get games, continue to develop and really show his abilities." The European transfer window remains open through Aug. 31, but the Premier League opens Aug. 14 and La Liga on Aug. 28. "We're not trying to rush into anything at this point," Yorks said. "There are advantages to getting it done early because you obviously have a longer preseason to get into the team, but it's important to get the right fit." Yorks said he had had discussions with two Premier League clubs he wouldn't identify. Fulham also has held discussions about Altidore, pending a decision on hiring a manager to replace Roy Hodgson, who left the Cottagers to become Liverpool's manager. Altidore was acquired by Villarreal from Major League Soccer and the New York Red Bulls in June 2008 for about $10 million. He became the first American to score in La Liga but played just six matches before he was loaned to second-division Xerez at midseason. He didn't get into another game that season, then was loaned to Hull for 2009-10. "If it's a full transfer, then the transfer would have to be agreeable with Villarreal," Yorks said. "They spent quite a bit to get him. If it's a loan, then the pressure's off a little bit." Guti SAY YES to two-year deal with Besiktas! Picture from Besiktas web site. Spanish midfielder Jose Maria Guti has agreed a two-year contract with Besiktas, the Turkish Turkcell Super League club announced on Monday. "Under the agreement, the player will be paid 2.7 million euros per year," Besiktas said in a statement to the Istanbul stock exchange. The 33-year-old, who left Real Madrid on Sunday after a 15-year career with the Spanish giants, was expected to arrive in Istanbul late on Monday and was due to undergo his medical on Tuesday morning before signing the deal. The midfielder confirmed at his final Real press conference on Sunday that he was studying an offer from Besiktas, who are coached by Bernd Schuster, Guti's boss at Real in 2007-08. New Real coach Jose Mourinho had indicated that he was not counting on Guti, a product of the club's youth system who made his professional debut in 1995. Guti, who can play as an attacking or central midfielder, also had the honour of being the man who scored the team's 5,000th goal. "I believe you have to be aware that there are stages that close and in this case for me it is a very glorious stage at Real Madrid that is coming to an end," he said on Sunday. Guti will sign the contract officially on Tuesday at 20.00 local Istanbul ,Turkey time in the Inonu stadium . So, Is Guti Coming To Besiktas? started to look out side the Madrid box! Guti signed with Real Madrid at the age of eight and came up through Madrid's academy. He has played strait 15 years with the club since 1995 and scored 86 goals in 542 games for Madrid. Guti, mostly was on the bench over the last two seasons due to injuries and inconsistent form. 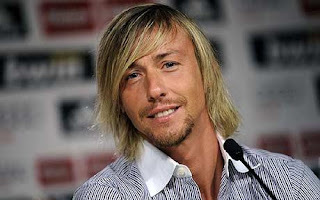 Guti, who had another year to run on his contract, said Sunday he was considering an offer from Turkish club Besiktas. Guti could join Besiktas, because of former Madrid coach Bernd Schuster at Besiktas. Besiktas defeated Vikingur of Faroe Islands 4-0 in UEFA Europa League second qualifying round second leg on Thursday. With thsi result, Besiktas qualified for the third round of qualifying games for the 2010-2011 UEFA Europa League. The team is now expected to take on Viktoria Plzen of the Czech Republic in the third qualifying round. According to the 2010-2011 season planning, the League will start on the 15th August 2010. The first half of the season will finish on the 19th December 2010 (Week 17). The second half of the season will begin on the 23rd January 2011 and the season will be over on the 22nd May 2011. KARDEMİR D.Ç. KARABÜKSPOR - ANTALYASPOR A.Ş. BÜYÜKŞEHİR BLD.SPOR - TRABZONSPOR A.Ş. BÜYÜKŞEHİR BLD.SPOR - BEŞİKTAŞ A.Ş. BÜYÜKŞEHİR BLD.SPOR - GALATASARAY A.Ş. BÜYÜKŞEHİR BLD.SPOR - ANTALYASPOR A.Ş. The sleeper of the transfer season Fenerbahce ,finally woke up and made their fans smile little bit! A French striker-winger joined Fenerbahce team late on Tuesday. Acording to the Fenerbhce's website Issiar Dia, a French footballer of Senegalese descent, signed a four-year contract with Fenerbahce. Issiar Dia was playing for Nancy team of France before he moved to Fenerbahce. The 23-year-old striker previously played for Montrouge FC 92, AC Boulogne Billancount, INF Clairefontaine and Amiens SC. As regards for his senior career, Dia played for Amiens SC and AS Nancy. The French footballer of Senegalese descent also played in the French U-18, U-19 and U-21 national teams, and the Senegalese national team. An executive of the Fenerbahce soccer team confirmed Dia's contract with Fenerbahce and said the French striker would join the team at the weekend. Fenerbahce President Aziz Yildirim had a angiography surgery and it was successful. 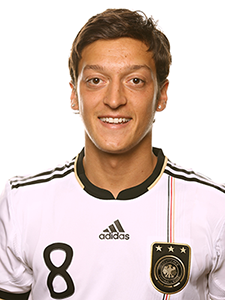 MESUT OZIL TO MANCHESTER UNITED? According to reports from England, Alex Ferguson and Manchester United wants Mesut Ozil! Manchester United Manager Alex Ferguson lost out on Ozil when Mesut Ozil was teenager, but they said to have been closely monitoring the 21-year-old playmaker. He has only one year left on his contract with his team.. So, that is why Werder Bremen, is open to the bids!. They also dropped the price from £20million to £8m. But money is tight there too! So who ever gives the the most amount of money will get Mesut Ozil..
Do you have any other team in your mine? Because, Altidore does not fit to their game plans.. There are two teams wants Altidore..
Besiktas wants to loan Jozy Altidore and Villarreal team wants to sell him! Besiktas needs a striker like him but, I don't know if Besiktas has the cash, after spending so much money, so far in the transfer season! He would really click with his former team mate Nihat Kahveci in Besiktas uniform..
Is he willing the spend the money on powefull striker from United States? Galatasaray finally broke the silence in foreign transfer market. They signed The 26-year-old Albania international and Sunderland skipper Lorik Cana following the Black Cats' decision to accept a bid of in excess of 6 million euros for his services. In one year, Sunderland ,pocketed one milion euro from Cana's back! Cana joined Sunderland in a £5million switch from Marseille last summer and was an instant hit as his robust style of play endeared him to the club's fans. Cana said: "I have been offered the opportunity to play in European competition and the Champions League, and especially to be closer to my family. This was not an easy decision for me though and I hope people understand." He made 35 appearances last season, two of them as a substitute, although he was sent off once and picked up 10 bookings along the way, which was a concern for Sunderland manager Steve Bruce. Bruce said: "Lorik's style of play and attitude made him a natural choice as captain last season, but when he came back for pre-season training, it was apparent that he had a desire to return to Europe. Turkey is nearer to Albania, where his family and roots are, and it is much easier for him to see them on a more regular basis - I think this was a major factor for him. "We thank Lorik for his time here and wish him the best of luck for the future." Galatasaray started pre-season training for the 2010-2011 season with new transfers at the club’s Metin Oktay facilities in Istanbul. Newly Transfers Ali Turan, Serdar Özkan, Çaglar Birinci, Mehmet Batdal and Musa Cagıran all took part in Monday’s first training session. Aydın Yılmaz, who was on loan to Turkcell Super League’s Eskisehirspor, also took part. Galatasaray’s Dutch coach Frank Rijkaard also included footballers from the junior team. Brazilian striker Elano Blumer and Aussie defender Lucas Neill did not take part in the training session because they played in the 2010 World Cup in South Africa. These players will join the rest of the team for training in the Netherlands. Galatasaray teams's pre-season routine health check examinations completed. According to the Glatasaray web site, Galatasaray team will fly to Netherlands on July 11 for a two week pre-season preparations program to camp at Horst, Venlo. Spor Toto Friendly Cup game between Galatasaray and Fenerbahçe will take place at Borussia Park in Monchengladbach, Germany on July 21 at 20 CET. Galatasaray Sold Ivory Coast Star Keita! 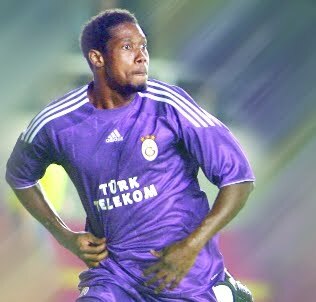 According the Galatasaray web site, Ivory Cost International player who plays for Galatasaray has been sold to Qatar team. Galatasaray web site stated on early Tuesday morning that they agreed on terms with Al Sadd team from Qatar, on transfer of Keita for 8.1 million Euro. The 28-year-old forward player who played in the World Cup Tournament with Ivory Coast National team. 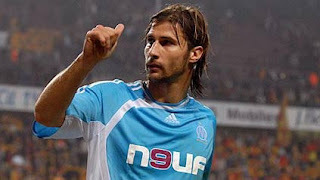 had moved to Galatasaray in July, 2009 from France's Lyon. Kaita has also agreed to forget about the €200.000 that Galatasaray owes! 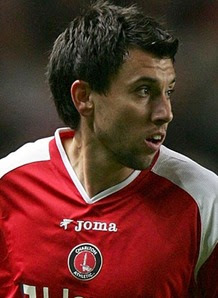 Former EPL player Svetoslav Todorov , wants to play In Turkey! Bulgarian International team player Svetoslav Todorov who has played in England's top League, with West Ham United,Portsmouth, Charlton Athletic clubs want to play for Turkish teams and is open to offers . This past season he played in Bulgarian league with Litex Lovech. Svetoslav Todorov is forward player and 31 years old. Todorov began his career at Bulgarian First Division club PFC Dobrudzha in 1996–97. Turkish soccer teams climbed in the Club World Ranking of the International Federation of Football History & Statistics. urkish soccer teams Galatasaray, Fenerbahce, Besiktas and Trabzonspor climbed in the Club World Ranking of the International Federation of Football History & Statistics (IFFHS). According to the assessment of IFFHS based on the performance in the games played between June 1, 2009 and June 29, 2010, Galatasaray climbed from 26th to 25th rank with 200 points, while Fenerbahce rose from 31st to 30th rank with 193.5 points. Galatasaray and Fenerbahce took place in top hundred list in IFFHS's Club World Ranking, while Trabzonspor rose to 139th from 141st rank with 102.5 points, and Besiktas increased to 180th from 185th rank with 90 points. Turkey's Turkcell Super League's champion Bursaspor took place on the 225th rank with 81.5 points. Italy's Inter and Spain's Barcelona are on top of the list with 297 points. Champions of Turkey Bursaspor shook hands with Argentinean forward player Daniel Steinert. According too Sabah daily, The 24-year-old forward Daniel Steinart played for Argentina’s Racngclub. Steinart arrives in Bursa tomorrow and will first undergo a medical check-up and later will sign a contract with the team. 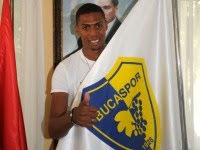 Bucaspor, signed Spain's Osasuna team scorer Eduardo Fernandes Pereira Gomes, who is known as "Dady" for two year contract. Caner Erkin goes to Fenerbahce! Caner Erkin,who played with Galatasaray last season on a loan from CSK team was loaned to Fenerbahce. Caner Erkin’s transfer rights still belong to the Russian team CSKA Moscow, last season he played in 20 league games with Galatasaray team. Konyaspor, signed with Australian goalkeeper Danny Vukovic , from Caykur Rizespor Emrah Eren and from Germany Aykut Ozuturk as well as internal transfers from the team Serhat Akyuz.